This month’s Arnold challenge was created by Mark Fisher, owner of Mark Fisher Fitness, and one of the most empathetic, passionate, and eccentric (note: slightly NSFW) fitness professionals on the planet. For September’s challenge, we thought about who would create a challenge that best instills both habit and effectiveness. Mark, who built his gym’s reputation by making fitness fun and ridiculous, was the guy to ask. What do we mean by fun and ridiculous? Mark Fisher Fitness’s mascot is a unicorn, for one. Don’t be mistaken. The routine is effective and is built in order to allow you to progress every single time you complete it. “It’s the perfect full-body workout to both ease in newbies and challenge veterans. This bodyweight workout is all about economy, simplicity, and efficiency,” says Mark. He further explains why it’s so effective. And without further ado, the Unicorn Challenge – named after Mark Fisher’s mascot. Well, that and the fact that unicorns are just awesome. 1. 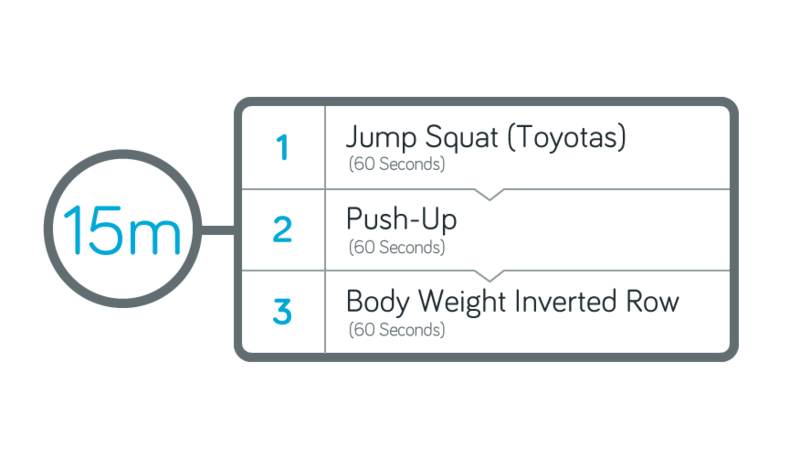 Perform the following exercises for 60 seconds each, taking little to no rest time between exercises. 2. Repeat the circuit until you’ve totaled 15 minutes of total time. 3. Important: Take note of the total number of reps for each exercise. Each time you do the workout, you should attempt to hit more total reps for each exercise.